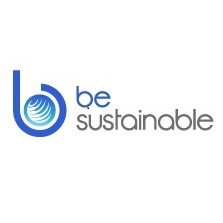 The BE Sustainable family of companies has officially launched its operations with a landmark meeting with Singapore’s Economic Development Board (EDB) and National Environment Agency (NEA) on 29 May 2013. BE Sustainable Pte. Ltd. was incorporated in Singapore last year. Dr. Risby, a scientist and an experienced serial entrepreneur, has founded and grown numerous successful companies in England, USA and the Caribbean. He is also the originator of two of the one hundred innovations that can change the world, as identified by Professor Gunter Pauli in his Blue Economy initiative, ‘100 innovations, 10 years, 100 million jobs’. Gunter Pauli has defined The Blue Economy as a practical and effective response to the Club of Rome’s Limits to Growth. We are excited by Singapore’s courage and receptiveness to responsibly address its long-term concerns of water, energy and food security. These are serious issues faced by everyone. This collective intelligence is contributed by world-renowned specialists in the key areas of food, energy and water security, waste, education, healthcare and communications. This then enables BE Sustainable to deliver profitable long-term effective solutions, including its extensive collection of innovative technologies and tools such as the Integrative Design process to industries, governments and society. The BE Sustainable family of companies consists of several business units – BE Advisory, BE Research, BE Integrative Design, BE Intermediary Services, BE Governance, BE Regional Resilience, BE Sustainable SA and BE Sustainable EU. Inspired by Gunter Pauli’s The Blue Economy initiative ‘100 innovations, 10 years, 100 million jobs,’ the company applies a ‘systems approach’ to long-term sustainability issues such as water, energy and food security without compromising profitability. BE Sustainable’s founders and consultants have delivered effective solutions to industries, government and societies worldwide.